Xander Snyder’s article was first published with Geopolitical Futures, the global analysis company founded by George Friedman. Over the past month, there has been a small but meaningful escalation of tensions in the breakaway region of Nakhchivan in the South Caucasus. 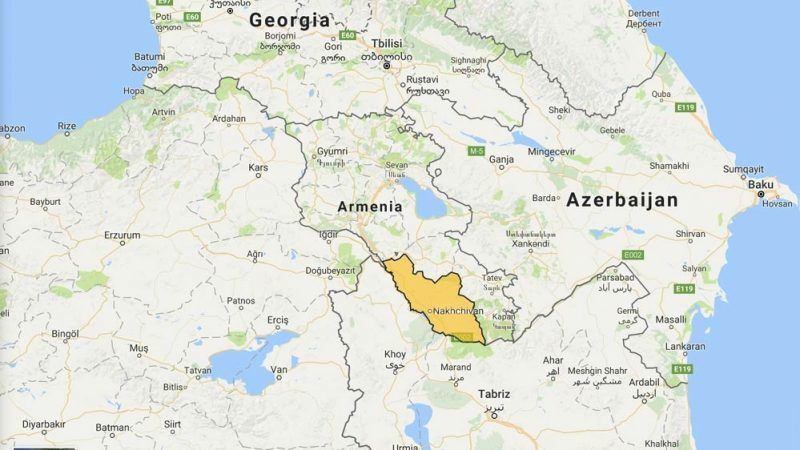 In late May, Azerbaijani media reported that the country’s military seized new territory in Nakhchivan, an exclave of Azerbaijan surrounded by Armenia, Iran and Turkey. In the following two weeks, there were reports that Azerbaijan had occupied areas of northwestern Nakhchivan, including the abandoned town of Gunnut and the heights surrounding it. Then, another breakaway region, Nagorno-Karabakh, which is officially part of Azerbaijan but administered by local Armenian forces, held military exercises last week and trumpeted their success through Armenian media. Both Nakhchivan and Nagorno-Karabakh are caught in a conflict between historical rivals Azerbaijan and Armenia, so any movement of troops in these territories by either country can be seen as an escalation. Azerbaijani media claimed that 11,000 acres of territory were “liberated” by the military maneuver in Nakhchivan. This is a mostly meaningless claim – Nakhchivan is already controlled by Azerbaijan, which means that its forces can move freely within the territory anyway – but for one exception. The area containing Gunnut has, since the town was evacuated in the early 1990s during the Nagorno-Karabakh conflict, remained neutral with no forces from either country stationed there. In addition, control of the heights surrounding Gunnut enables Azerbaijan to block – through the deployment of artillery – the only major highway leading from Yerevan to Stepanakert, the capital of Nagorno-Karabakh, which threatens Armenia’s ability to reinforce its defence forces in the region. Tensions flare over Nagorno-Karabakh regularly. The two sides exchange artillery fire every so often, sometimes resulting in casualties. The Nakhchivan-Armenia border, however, has generally been less active, which raises a question: Why is it active now? The anti-government protests in Armenia in April undoubtedly played a role, as Azerbaijan likely wanted to take advantage of the instability there to put pressure on Armenia in Nagorno-Karabakh. But it’s hard to imagine Azerbaijan would try to change the strategic reality in the South Caucasus, even if only incrementally, without the approval of Moscow, which has a military base in Armenia and supplies arms to both Armenia and Azerbaijan. In addition to the Armenian protests, which led to the resignation of Prime Minister Serzh Sargsyan, Russia may have seen several other developments as early warning signs that a Western reorientation was at least being considered in Armenia. During a visit to Armenia last week, an EU delegation made several comments about democratic progress in Armenia, encouraged further electoral reform, and expressed a willingness to oversee Armenia’s next elections. Of course, the European Union promised to not support any particular interest in the unrest, but having the EU involved in Armenia’s political affairs is likely to worry Russia regardless of the EU’s professed neutrality. The delegation also indicated that it would move ahead with visa liberalization talks, which had been stalled, and said the bloc would vote on a new EU-Armenia partnership agreement on 4 July. The same week that the visit took place, an opinion piece in The Hill, a Washington-based publication, advocated that the US take advantage of Armenia’s new administration to pull the country further into the Western orbit. The underlying fundamentals of the South Caucasus haven’t changed, but Russia may still view these developments as a creeping Western threat that needs to be quickly put down. From this perspective, giving a green light to a minor Azerbaijani military deployment as a slap on the wrist to Armenia makes sense. Moscow is sending a clear message to Yerevan: Armenian security is still dependent on Russian support, and Russia can indirectly threaten Armenia’s territorial integrity if it falls out of line. Russia can also make the argument that the Azerbaijani offensive necessitates an even greater Russian presence in Armenia to deter the conflict’s escalation. This would serve another core Russian interest in the South Caucasus: to prevent Azerbaijan, whose people are part of a Turkic ethnic group, from establishing an uninterrupted corridor to Turkey through Nakhchivan. Indeed, the Soviet Union drew the current borders of the South Caucasus, including those of Nakhchivan, which is physically separated from Azerbaijan and shares a border that is only 8 miles-long with Turkey. It’s unlikely, therefore, that Azerbaijan’s move in Nakhchivan will turn into a major border conflict with Armenia, since that wouldn’t suit Russian interests. It’s enough for Russia to simply show Armenia that such a conflict is possible, and that it is willing to let Azerbaijan assert greater power in Nakhchivan – which could threaten Armenia in Nagorno-Karabakh. Russia won’t let Armenia suffer major territorial losses, but it will make Armenia consider the possibility to ensure that Yerevan doesn’t stray too far.